Despite a recent deluge, the final round of the UCI DH World Cup Canadian stage was mainly raced on dry ground, except for a few short sections, in a mixture of extremely fast sections alternating with rock gardens and spectacularly challenging technical sections, one of which, in particular put many athletes in tight spots, with several falls. 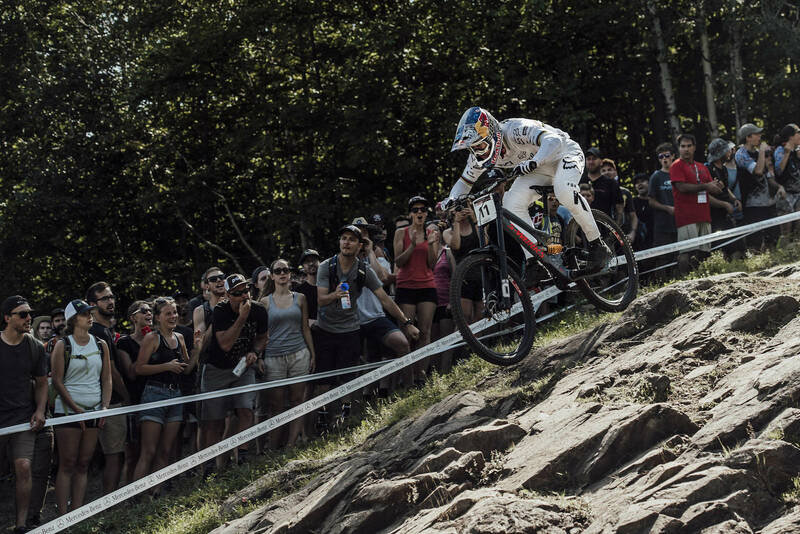 Mont-Sainte-Anne has always been one of the more appreciated tracks for riders. Once again, we witnessed an exciting race with the top riders giving it their all, yearning for a precious position on the podium. 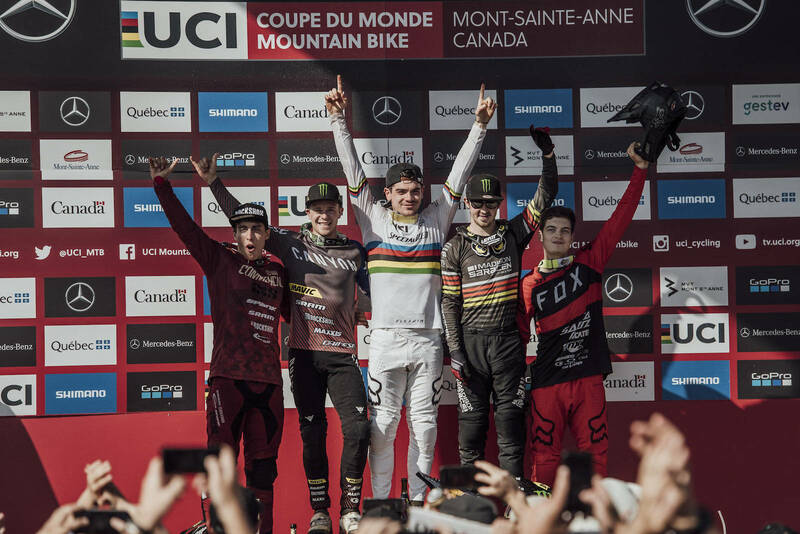 Loic Bruni, after some time away from the very top, returned to the highest step of the podium after his world championship victory last year. The world champion showed off his best qualities with dynamic, aggressive riding. It was a spectacular and truly intense run for Troy Brosnan, fierce and picking up pace all along the way, with some line choices that were quite different from the other competitors. Troy dedicated his second place finish to his grandfather, who died yesterday. Third place went to Danny Hart who, coming down last, worried Bruni and Brosnan, but wasn’t able to undermine them from the top spots on the podium. Amaury Pierron continues to amaze and took fourth place despite a crash during practice this morning. Thanks to the additional points he gained today, Pierron emerged as the early, overall winner of the 2018 season of the UCI DH World Cup. Fifth went to Loris Vergier, with an impeccable and exciting run that was not enough to further climb the podium. 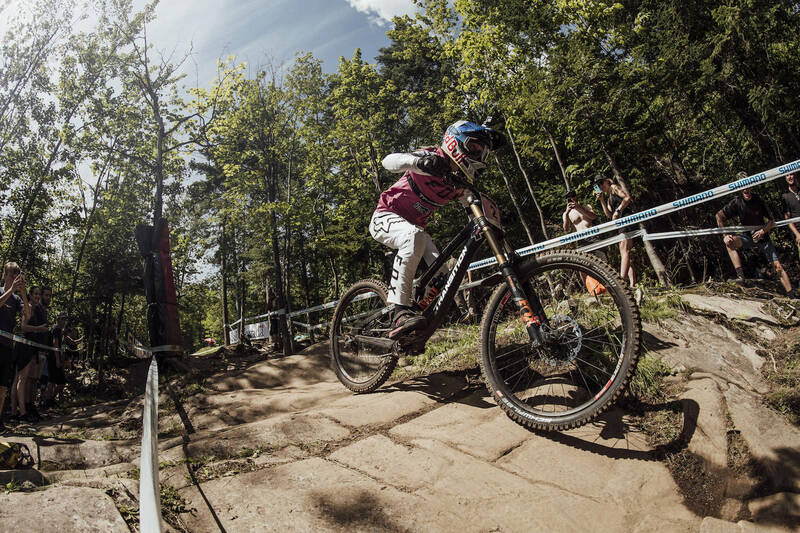 It was a truly deserved victory for Rachel Atherton in the women’s field, who captivated spectators with a fast, aggressive and well controlled run – the type that she had accustomed us to in her “perfect season” of 2016, and definitely her best run in the last two years. Rachel pulled out her best to counter the excellent form of Tahnée Seagrave, who dominated the last round in Vallnord. 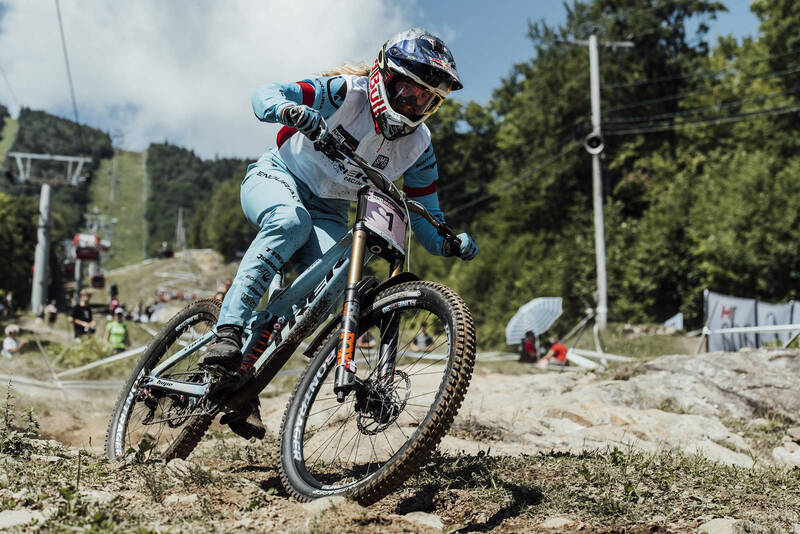 Seagrave, however, appeared less on it than in the last race – fast and aggressive, but with some mistakes that just cost too much and put her in second place with 5 seconds between her and Atherton. It was third for Tracey Hannah, who had a good run, but was definitely far from the level of the two top Brits. She’d finish 20 seconds back. Fourth position went to Marine Cabirou followed by Mariana Salazar in fifth place. Myriam Nicole, on her return after the injury in Val di Sole, did not finish her run due to a crash, apparently without serious consequences. 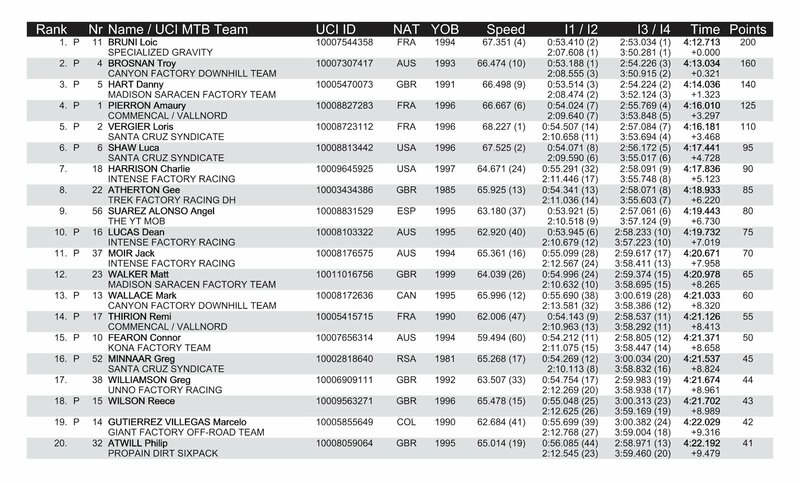 Thibaut Daprela took a big win in the hard-fought men’s Junior category, confirming his overall lead ahead of Kye A’Herne who, due to a crash, finished 18th, but retains second position in the overall. Second place instead went to Kade Edwards who climbed to third place overall, undermining Henry Kerr who today landed in third place. The dominance of the young Austrian athlete Valentina Höll, both in terms of performance and consistency, is now so massive, she constitutes a category of her own. Even today she would have landed on the podium of the Elite category. She put 45 seconds between herself and Samantha Soriano in second place, who led by less than 3 seconds ahead of Mazie Hayden.